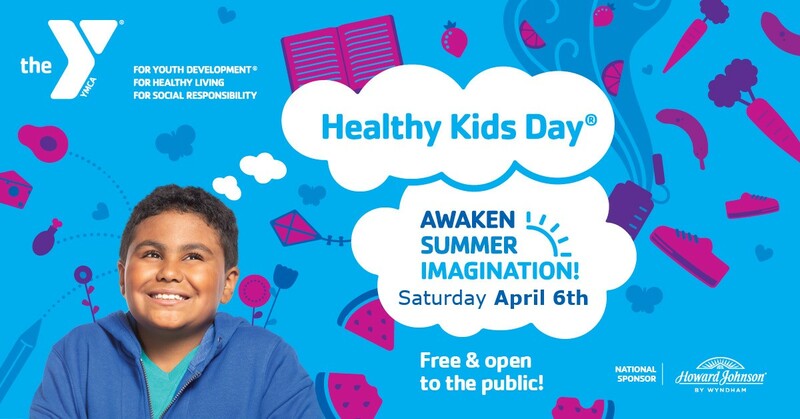 On Saturday, April 6th, the Y is celebrating the Healthy Kids Day, the Y’s national initiative to improve the health and well-being of kids and families. A child’s development is never on vacation and YMCA’s Healthy Kids Day serves as summer kick-off event that helps kids stay healthy and achieving all summer long. The Y supports families in their efforts to teach healthy habits and keep kids active and learning, preparing them for a brighter future. It’s part of the Y’s promise to strengthen communities. Join us for a free and open to the public event on April 6th, at 9am! Prizes to the first 100 kids through our doors! FREE Swim Lessons – Must call the Y ahead and reserve a spot, ages 5-12 only. Will also include play-time.